Sachchidananda Hirananda Vatsyayan 'Agyeya' (सच्‍चिदानन्‍द हीरानन्‍द वात्‍स्‍यायन 'अज्ञेय') (7 March 1911 – 4 April 1987), popularly known by his pen-name Ajneya ("Beyond comprehension"), was a pioneer of modern trends not only in the realm of Hindi poetry, but also fiction, criticism and journalism. He was one of the most prominent exponents of the Nayi Kavita (New Poetry) and Prayog (Experiments) in Modern Hindi literature, edited the 'Saptaks', a literary series, and started Hindi newsweekly, Dinaman. Agyeya also translated some of his own works, as well as works of some other Indian authors to English. He also translated some books of world literature into Hindi. Sachchidananda Vatsyayan was born on 7 March 1911 in a tent at Kushinagar, Kushinagar district of Uttar Pradesh. His father Hirananda was an archaeologist, who was also a scholar of Sanskrit. His childhood was spent in many different places, including Gorakhpur, Lucknow, Nalanda, Udupi, Madras, Jalandhar, Jammu and Srinagar. He did Intermediate from Madras Christian College in 1927, thereafter studied at Forman Christian College, Lahore, where he did his B.Sc. in Industrial Science 1929. After graduation he was included in Punjab University's "Cosmic Ray Expedition" to Kashmir under Prof. James Martin Baned. He joined M.A. English, but couldn't complete his studies as soon he joined the Indian independence movement's underground activities with Bhagat Singh, Chandrashekhar Azad, Sukhdev and Yashpal. In November 1930 he was arrested under the fictitious identity of Mulla Mohammed Bux in Amritsar. He was kept in Lahore for one month, then spent three and a half years (1930–33) in jails of Delhi and Punjab in the infamous Delhi Conspiracy Case. Later he remained under house arrest for two months in the Fort and for two years at home. His classic novel-trilogy Shekhar: Ek Jivani was a product of those prison days. The third part of the novel was never published. In the beginning he was associated with the PWA (Progressive Writers Association) and was a member of the Anti-Fascist Front. During World War II in the wake of the fascist Japanese attack's threat he joined Indian ( that time Allied) Force for three years (1943–1946) as a Captain by mobilising people's resistance against the enemy. He left the army when the war was over. Agyeya edited "Sainik" from Agra (1936), "Vishal Bharat" from Calcutta (now Kolkata) (1936) and "Prateek" (1947) and "Naya Prateek" (1973) respectively from Allahabad and New Delhi. In English he edited "Vak" (1951) also. He travelled extensively, both in India and abroad. Between 1961 and 1964, he held a visiting faculty position at the University of California, Berkeley. In 1965, he returned to India and became Founder Editor of the newsweekly Dinaman of the Times of India Group. When the members of the Hungry generation or Bhookhi Peerhi movement were arrested and prosecuted for their anti-establishment writings, 'Ajneya' through Dinmaan relentlessly supported the young literary group of Kolkata till they were exonerated. His dispatches on Bihar's famous famine are considered milestones in pro-people reporting. He remained in India till 1968, before embarking on a trip to Europe. In 1969 he returned to Berkeley as Regents Professor, and continued there till June 1970. In 1976, he had an 8-month stint at Heidelberg University, as a Visiting Professor. Later he joined University of Jodhpur, Rajasthan as Professor and Head of the Deptt. of Comparative Literature. 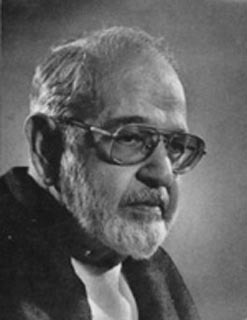 He served as Editor of Jayprakash Narayan's Everyman's Weekly (1973–74) and Editor-in-Chief of Hindi daily Navbharat Times (1977–80) of the Times of India Group. He died on 4 April 1987 in New Delhi. Sahitya Akademi Award 1964 for Aangan Ke Par Dvar (Poetry). Jnanpith Award in 1978, for 'Kitni Naavon mein kitni baar', and the anthology of poems. Golden Wreath Award for poetry in 1983. His verse play Uttar Priyadarshi, about the redemption of King Ashoka was first staged in 1966 at Triveni open air theatre in Delhi in presence of the writer. Later it was adapted to Manipuri, by theatre director, Ratan Thiyam in 1996, and since been performed by his group, in various parts of the world.